This would be the 1st time that I submit my tax return as a business owner. The date line is on 30 June. 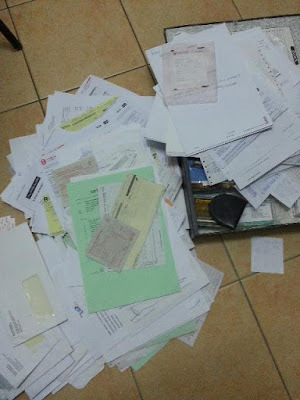 I have been organizing the bills, banking documents and other accounts related documents a week ago in order for me to update them into the accounting system. I am using the UBS accounting system at home which is similar to the system I am using in my employer's office, so I am quite familiar with it and that's make it a lot easier for me. I have one more week to finalise my business account and do the submission online for the Assessment Year 2012. Previous years, I only have to report my income as an employee which is very much straight forward.